This week’s Blog of the Week goes out to the incredibly glamorous Farrah of Make Up It Girl. Farrah straddles the line between being a beauty industry insider and a beauty blogger, and uses her wealth of experience to inform her readers about the best products out there. Farrah isn’t afraid to state what she loves and what she’s not so crazy about. Her “My Heroes” page details all of the products that she cannot live without, and she provides a comprehensive list of favourite shades. Of all of the products that Farrah must have at her disposal, it’s really helpful to see which ones work best for her, especially when you have the same skin tone or skin type. One of my favourite posts is “J.Lo’s Glow” a post whereby Farrah reveals the secrets of a gorgeous glow. Not only does she suggest products for her own colouring and skin type, but she also gives suggestions for other tones and types. Farrah’s blog is more informational than descriptive, and that’s fantastic for those who are searching for a product with substance. Check out Make Up It Girl right here, and follow the lovely Farrah on Twitter, too. 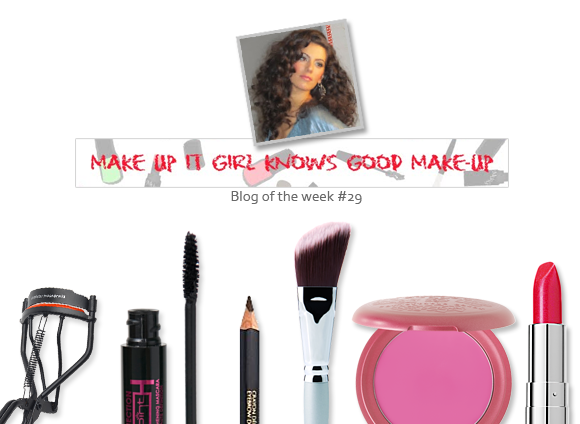 This entry was posted on Friday, July 22nd, 2011 at 8:00 am and is filed under Blog of the Week, Make-up. You can follow any responses to this entry through the RSS 2.0 feed. You can skip to the end and leave a response. Pinging is currently not allowed.